Set in the small coal mining town of Phippsburg, Colorado, in the early part of the 20th century, Out of the Ordinary is the story of Julia, the daughter of an Italian immigrant coal miner, who wishes for something out of the ordinary to happen in her predictable life. 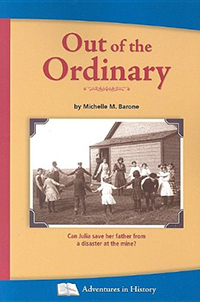 The character of Julia, based on author Michelle M. Barone's grandmother, attends a one-room schoolhouse with other children in grades one to eight, including the town bullies, whose father runs the local mine. 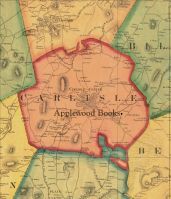 When labor strife strikes at a coal mine in nearby Ludlow, the adventure that Julia craves puts her in the challenging position of being the only one who can save her father from a similar disaster at the local mine. 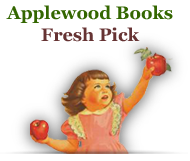 Filled with vivid historical details, the fast-paced narrative tells of the strength of Julia's character while introducing the reader, in an age-appropriate fashion, to labor struggles and the immigrant experience. Grades 3-6.